1. Who needs a Financial Advisor? Everyone can benefit from a financial advisor from a parent planning for a child's education, to a baby boomer planning for retirement, to a retiree contemplating long term care. Life is full of challenges and decisions, and it is advantageous to have a trusted professional available to assist you in achieving your financial goals. At ADG Wealth Management Group, L.L.C., we recognize the devastating effect that a bear market can have on a portfolio and we aim to employ defensive strategies to minimize the effects of declining markets. We are active money managers with an emphasis on wealth preservation strategies. We strive to achieve slow and steady gains for our clients. 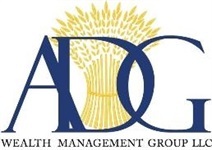 At ADG Wealth Management Group, L.L.C., we recognize the devastating effect that a bear market can have on a portfolio and we employ defensive strategies to minimize the effects of declining markets. 3. What states are you licensed in? 4. Are you with a Broker Dealer? Yes, three of our Advisors are representatives of Triad Advisors LLC. Triad Advisors LLC. is an independent broker/dealer and registered member FINRA /SIPC, based in Atlanta, Georgia. 5. What does it mean to be an independent broker/dealer? This gives the representatives of Triad the freedom to select from an extensive array of products when making an investment recommendation. There is no incentive to recommend one investment over another based on a relationship between the broker/dealer and the investment company.